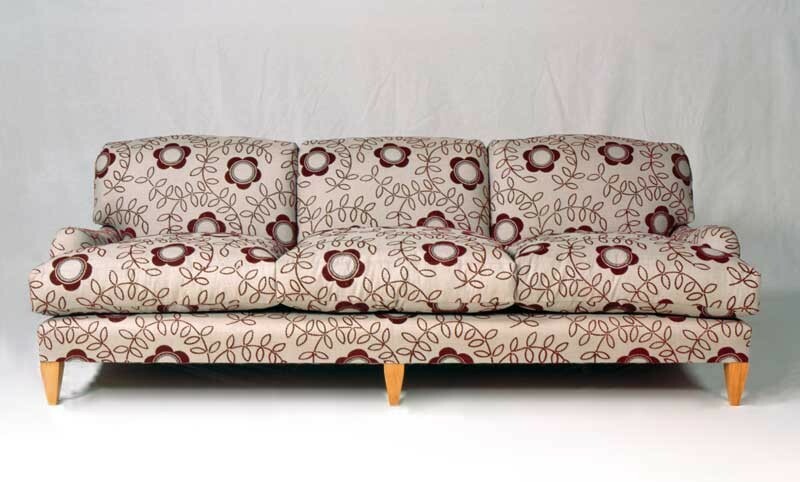 This luxury big traditional sofa is the ultimate in comfort, with a beech frame. Hand sprung back and seat with fixed feather filled back cushions and loose feather filled seat cushions. Showing our tapered leg with no castors.